Motorhomes for Hire in the UK, Europe, Further: What's your Destination? Once bitten by the motorhomes for hire bug, many people never take another traditional holiday. Looking at the numerous advantages a motorhome rental offers families, couples and even individuals it’s not hard to work out why. A motorhome provides the best blend between enjoying the creature comforts of home and indulging the spirit of adventure. Motorhomes for hire are often surprisingly easy to drive and offer ample space for both travelling, sleeping and, where necessary, staying ‘in’. Whether you’re looking to escape for a weekend, a week, a fortnight or a month or more, a motorhome holiday is the ideal option. For active types, racks can be fitted for bikes and canoes and there will be plenty of room for sports equipment from tennis racquets and golf clubs to skis and climbing gear. If you prefer to spend your free time cruising then a motorhome is perfect, enabling you to stay in one place as long as you like before heading back out on the open road when the inspiration takes you. Unlike a traditional holiday, where you either need to draw up meticulous plans or rely on someone else’s itinerary, a motorhome break offers almost unrestrained freedom. With no trains or planes to catch and no need to plan around hotel check-ins and check-outs you can spend most of your precious holiday time actually on holiday! Motorhomes are designed for comfort and, depending on the model chosen, come equipped with everything from microwave ovens and fridges to TVs, DVD players and games consoles, a welcome addition for those unexpected rainy spells. Motorhomes for Hire in the UK, Europe, Further: What’s your Destination? UK motorhome holidays offer the possibility of taking in grand Scottish castles, remote Irish farms, dramatic Welsh mountains and buzzing English seaside resorts all in the space of a few days. Thinking further afield? No problem; the UK may be heading away from the EU but Europe the continent is still very much on the doorstep with French vineyards, Spanish sunshine, Italian cuisine and Austrian Alpine ski slopes all waiting to be discovered on the other side of a ferry crossing. Explore an area in depth to get to know its culture or take in a different country every day – the choice is yours. For the truly adventurous, how about a road trip across the United States of America, a fortnight camping out in the Canadian wilderness or a spot of sightseeing and beach hopping down under? Whatever your destination, choosing motorhomes for hire will take you further and deeper than ever before, your experiences limited only by your imagination and your energy. Wherever you decide to go, campervanhire.com should be your first port of call. With competitive rental rates, no booking fees, free amendments and a price match guarantee, campervanhire.com take all the hassle out of booking motorhomes for hire. Our extensive range of fully-equipped vehicles caters for all needs from the couple looking for a romantic weekend away to the multi-generation family requiring seven beds and plenty of breathing room. To find out more about what campervanhire.com can do for you, please fill out our simple contact form which you can find on both our home and contact pages. You can also keep in touch through our Facebook, and Twitter pages. Do you Own a Motorhome for Hire? 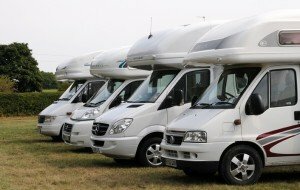 Campervanhire.com also offers a service for owners offering motorhomes for hire. If you have never considered it before, renting out your own motorhome is the ideal way to make a second income while saving you the hassle of parking and maintaining your vehicle between trips. Again, please fill in the contact form if you are interested.